Her interpretation of this verse is, ‘’He who changes the life of one man, can also change the life of mankind’’. She felt that if she could change the life of one needy person, it would be an incredible and rewarding thing to do. She realised that, that there were many unfortunate and needy people in this world and wondered how she could help them in a fulfilling way. Aisha is very passionate about what she does and she dedicates a substantial amount of her time creating art work. ‘Time, she says is a ‘luxury’ and is very precious’. A full day’s work in her studio is therefore highly rewarding and purposeful, as she feels that it is ‘time’ invested for a worthy cause. Aisha always works towards forthcoming exhibitions, where she sells her paintings, with the intention of generating revenue, purely for the cause of helping the less fortunate. All the profits from the sales of her paintings are donated to her Foundation, through which she helps the deserving and the needy. She has had three solo exhibitions, all of which were sponsored by Banks. Lloyds TSB Bank – Nov.2008. ING Bank – June 2009 – HSBC Bank – April 2011. Aisha donated some of the profits from her sales towards their chosen Charities. 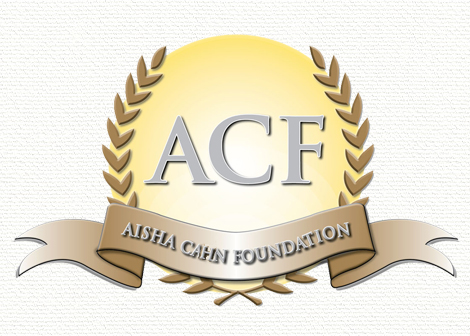 Having generated some funds in her Foundation and helping various charitable organisations, Aisha has just completed her first philanthropic project, which is an orphanage for girls in Pakistan. This is an area that is very close to her heart. There is a constant reminder in the three Abrahamic sacred scriptures, the Torah, The Bible & The Quran about being kind and fair to the fatherless and the orphans. 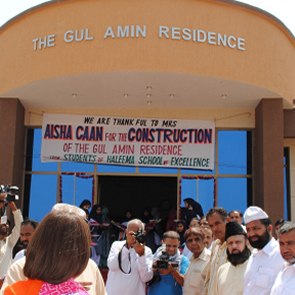 She has named the orphanage after her late parents “The Gul Amin Residence”. She is collaborating with Muslim Hands, a UK Charity Organisation on this project. Aisha will fund the construction of the orphanage and Muslim Hands will manage and maintain it. 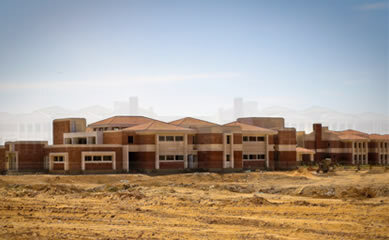 Attached to the orphanage is the Halima School of Excellence for Girls, where the orphan girls will be educated. Aisha also takes a great interest in Education, in countries that have very low literacy rates. 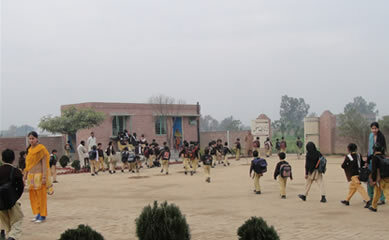 She has worked on a few projects with The Citizens Foundation in Pakistan, where she has helped set up the Abdul Rashid Campus and the Zuleikha Amin Campus in Lahore. Aisha is also a committee member for The Hub School in Karachi. She is currently working on another school project on behalf of her late father Mohammed Amin Patel.